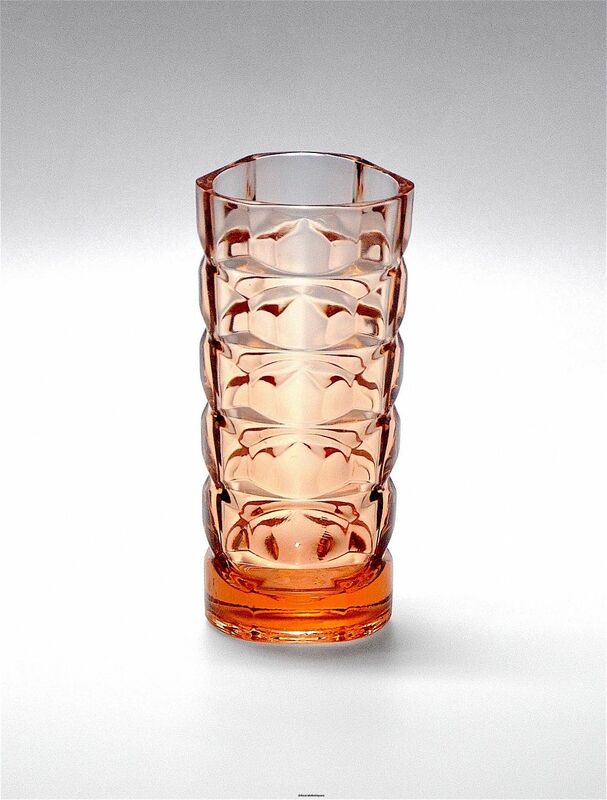 This very pretty peach coloured glass vase was made in France. It is moulded and is a rounded triangular shape with a geometric design. The base is stamped "France 16"